Want to make an impact and love what you do? We want you! Magnetude people are highly collaborative, love coming into work every day, take pride in the quality of work and are singularly focused on the success of our clients. Our people are what set us apart. Magnetude Consulting is a full-service marketing agency that provides outsourced marketing department services to B2B tech sector startups and small businesses. We are looking for an entrepreneurial marketer to join our team to work with our cyber security clients. The ideal candidate will have a background in cyber security, from a marketing standpoint. As our cyber security practice and client base grows, we have a need for additional team members with this experience set. 2+ years of hands-on experience in the cyber security marketplace. Interested applicants should submit their resume to [email protected]. Cover letters are not required, but we do ask for a link to your LinkedIn profile, a paragraph about what interests and qualifies you for the role, and we will follow up with all candidates who may be a fit. Magnetude Consulting is a full-service marketing agency that provides outsourced marketing department services to entrepreneurial B2B tech sector firms looking to market the right way in today’s complex business environment. We are looking for a marketer with a passion for entrepreneurship to join our team as an account manager and digital marketer to work with our clients and team. The ideal candidate will have a strong background in the B2B tech sector, possesses excellent time management and communication skills and is very comfortable being the point person for a portfolio of clients. 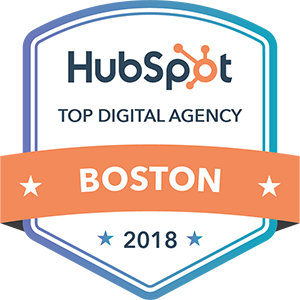 This individual will be responsible for overseeing and managing client relationships and being the point person for our entire team’s activities for a particular set of clients, as well as be able to lead digital marketing delivery work. This individual will work closely with our marketing team and build strong, collaborative relationships with clients. Learning the marketing/sales technologies and systems the client uses. Be entrepreneurial in nature—we have a ‘roll up your sleeves’ culture and are looking for someone who will fit right in and grow their role and responsibilities within the organization over time. Looking for a full-time candidate, but open to long term freelance arrangements for the right candidate.